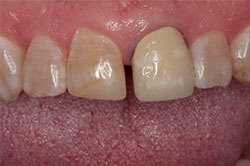 This 60 YOM, and a great patient of record, presented with a fractured off front tooth. 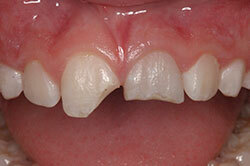 The tooth fractured so high up it would not be able to be restored. 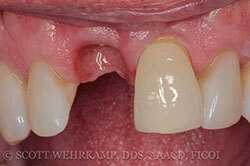 It would ultimately require extraction, an implant, and a crown. 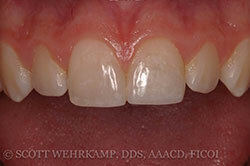 Dr. Scott bonded the fractured tooth back to the root as a temporary fix and began getting the records necessary for a same day, extraction, implant, and transitional crown. 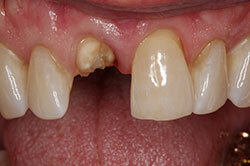 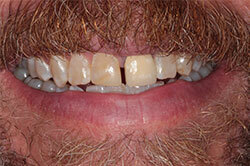 This 49 YOM really was ok with the gap between his two front teeth as it had been there his whole life. 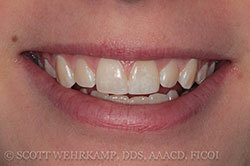 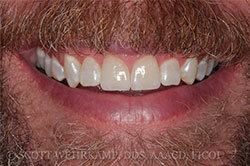 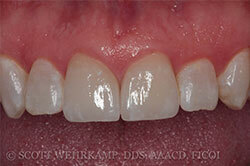 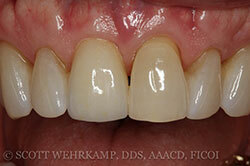 But the old composite filling and crown really didn’t match and they needed replacement. 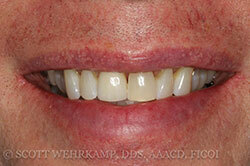 Dr. Scott showed Kevin how much nicer his smile would be by whitening all his teeth and closing the gap.